In the state system, Mr. Pleau reached an agreement to plead guilty in exchange for a life sentence without the possibility of parole. That’s good enough for Rhode Island, which has a long history of opposition to the death penalty. If Mr. Pleau is prosecuted in federal court, he can face the death penalty. Mr. Pleau is in state custody. The U.S. Attorney’s Office asked for him to be produced under the Interstate Agreement on Detainers. The Interstate Agreement on Detainers is an agreement between almost every state and the federal government over transfer of people for prosecution. * It’s in the U.S. Code. The Interstate Agreement on Detainers, though, lets a state say no. Rhode Island’s Governor, Linc Chafee, did just that. Because Governor Chafee is strongly opposed to the death penalty, he refused to turn Mr. Pleau over to the federal government. The U.S. Attorney’s Office then sought a writ for Mr. Pleau to be turned over to be prosecuted. A writ of habeas corpus ad prosequendum is, in effect, an order issued by a United States District Court telling whoever is holding a person to send the person to that court so the person can be prosecuted. It’s authorized by 28 U.S.C. § 2241(c)(5). The United States District Court for the District of Rhode Island issued the writ. The Governor, standing on the principle that he opposes the death penalty, refused to turn Mr. Pleau over. The United States Department of Justice, standing on the principle that it really does not like to be told no, insisted that Mr. Pleau be turned over. The dispute went to the United States Court of Appeals for the First Circuit. The court of appeals, in a joint opinion in United States v. Pleau and In re Pleau, held that the United States has a choice – it can use the IAD or it can use a writ to get a prisoner. But, once the government chooses which way to go, it is stuck with that choice. Since the federal government asked under the IAD first, it was bound by Governor Chafee’s refusal, and cannot later ask for a writ to trump the Governor’s right to refuse under the IAD. What’s interesting about the case, though, is less the technical merits of the statutory question about whether the IAD or the statute authorizing writs wins. What’s interesting is how the court of appeals looks at this issue. The appellate court could have decided this on narrow statutory grounds. Instead, it ran to the policy concerns. This was the first time a governor of a state had denied a federal request for a person to be prosecuted – ever. 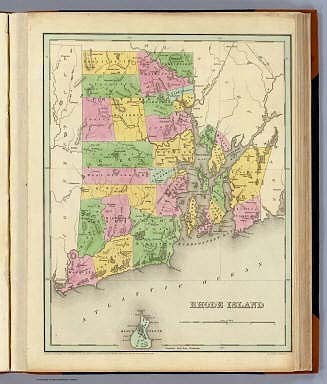 The First Circuit spent a good deal of time on the legitimacy of Rhode Island’s interest. he could not “in good conscience” allow the federal government to ride roughshod over Rhode Island’s “conscious reject[ion]” of execution as an acceptable form of state punishment. the only additional punishment that a federal conviction might bring would appear to be authorization to kill Pleau. The present case thus presents a stark conflict between federal and state policy prerogatives on a matter of literally life-and-death significance. We pause to note that the crimes Pleau is alleged to have committed — armed robbery and murder — are quintessential state crimes, and betray on their face no hint of any uniquely federal interest. See United States v. Jiménez-Torres, 435 F.3d 3, 14-15 (1st Cir. 2006) (Torruella, J., concurring) (objecting to unwarranted extension of federal criminal jurisdiction over traditionally state crimes). Moreover, given that Pleau has already agreed to plead guilty to state charges and accept a life sentence without the possibility of parole, it is frankly unclear what is to be gained from pursuing federal charges in this case, particularly in light of the truly extraordinary costs of capital litigation. This is a great question – what exactly is the federal interest here? I suspect, as I said before, that it’s just a matter of the United States Department of Justice being willing to spend whatever it takes to keep from being told no. [p]roper venue in criminal proceedings was a matter of concern to the Nation’s founders. Their complaints against the King of Great Britain, listed in the Declaration of Independence, included his transportation of colonists “beyond Seas to be tried. As the federal government comes down on California’s medical marijuana providers, maybe it starts to look a bit like the prior sovereign we had in these lands. * Only forty-eight states have signed onto the IAD. Also, the description here is very general – the IAD is very involved. The Department of Justice’s U.S. Attorney’s Manual has more information on the IAD.